The first-ever World Series of Poker Circuit Series National Championship is now in the books, and it was WSOPC Tunica Champion Sam Barnhart who would score the first World Series of Poker bracelet awarded in 2011. 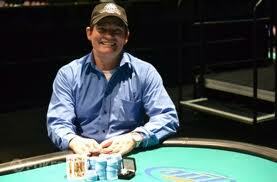 Barnhart was among the 100 qualifiers for the $1 million freeroll tournament that brought the 2010-2011 WSOPC season to a close. National Championship Seats were awarded at all 15 stops on the WSOPC tour, with the winner of each stop’s Main Event winning a seat (15), as well as the Player of the Tournament at each stop (15). 36 total seats were awarded to the final table participants at the four Regional Championship tournaments, and the remainder of the field was chosen using the WSOP point’s formula. Among the participants in the $1 million National Championship were Allen “Chainsaw” Kessler, Tim West, Dwyte Pilgrim, Shannon Schorr, Bernard Lee, Andy Frankenberger, Steve Zolotow, and David “Doc” Sands. Amazingly, only two female players qualified for the tournament, Traci Brown and La Sengphet; the latter would make the final table and finish in 4th place. This entry was posted on Monday, May 30th, 2011 at 11:16 am and is filed under Poker News. You can follow any responses to this entry through the RSS 2.0 feed. You can leave a response, or trackback from your own site.